A poll booth. Ahead of the midterm elections, student tackle the notion of equality. Ahead of the November midterm elections, Daily reporters are speaking to students about issues they’ll take to the polls. In this article, students take on the importance of equality, and what it means to them. You’ve all heard it: equality. What does it actually mean? As the midterm elections draw nearer, voters will certainly hear candidates’ pleas for all types of equality — racial, economic, gender and otherwise. The Daily spoke with students to see what the notion means to them. Weinberg sophomore Erica Henschen said her mother’s immigration to the United States has motivated her to take positions on issues like marriage equality and class-based discrimination. A key argument for pursuing policies promoting equality is that individuals don’t choose the conditions they inherit. Thirty-four states have U.S. Senate elections this cycle, while every single congressional district will also hold elections. 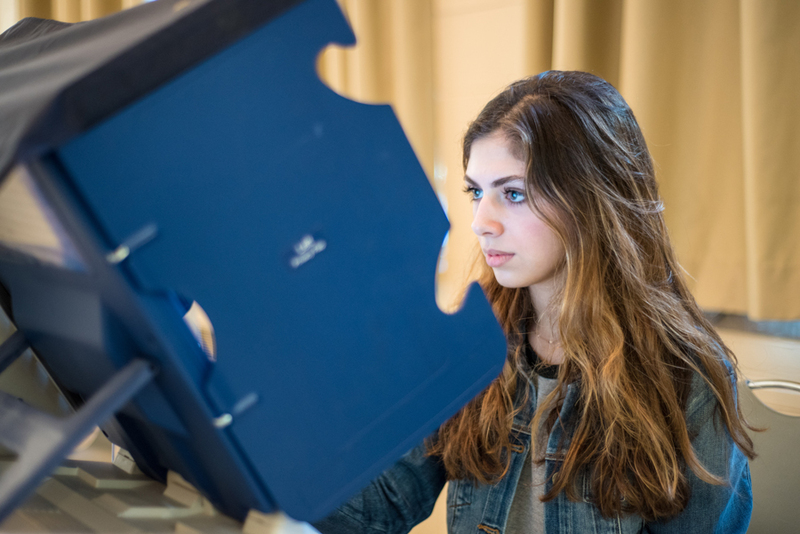 Students who opt to vote in their home state often request absentee ballots, while others register to vote in Cook County. As the nation reckons with systemic racism and inequality, some students are looking for policies and officials that will tackle them head-on. Several students said that discrimination is more overt now than it has been in years before. The subject can draw mixed opinions: Should everyone simply be given the same tools for socioeconomic advancement, or should society ensure individuals achieve relatively similar outcomes? Practically, policies aiming for some sort of economic redistribution will cost money, bringing up questions like who should pay and how to raise funds. Though the economy is humming, the government is running one of the largest deficits since 2013. Other than Broyles, everyone interviewed said this is the first election they will vote in, despite being old enough to vote in last year’s local elections. According to a study by Portland State University, residents 65 years and older were about 15 times more likely to vote than those between the ages of 18 and 34, who typically had turnout rates in single digits.